The Chevy Malibu competed directly with the Cutlass Sierra and Saturn to gain a foothold of the V6 sedan passenger cars in the late 1990s. The 3.1L Chevy engine was already a breadwinner for GM in cars like the Beretta, Lumina and Grand Prix. The 5th Generation Malibu is one of the most remembered by drivers for its class and sleek 90s design. You can find these Chevy Malibu 3.1L car engines for sale right inside of our engine warehouse ready for shipment around the world. The 170+ horsepower is included with our rebuilt and used engines. 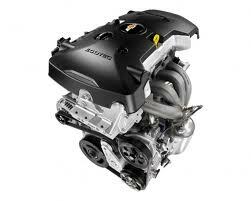 We can give you a great deal on your engine purchase. The Malibu was retired abruptly after the shift in GM ownership. New brands were put out in favor of the Malibu although the 3.1-engine still remains a great seller. Our engine buyers get every piece of our inventory right from GM dealerships or trusted distributors. Everything we have in stock is personally evaluated by our engine staff and that’s one way that we determine the condition of what is sold from our warehouse. Buying a V6 engine should not be a horrible experience regardless of how much money you have to spend. We treat you right and make sure you have your head held high after purchasing an engine from us. That’s right. We said discount. We don’t mean a measly 5% that does not even cover the tax in some states where tax is applicable. We’re talking big discount here. We’ll tell you exactly how we obtain our lowest pricing because we’re honest people. We buy hundreds of engines at the same time in one shipment. We’d go broke buying one or two at a time. We buy bulk engines from dealer closeouts, distributor markdowns or inventory clearance programs. We know how to buy and we buy big. We also don’t mark up the price sky high after we rebuild an engine. That’s one of the reasons we are very successful. Your selection is either used or rebuilt. We don’t sell new engines because few people can afford one. We specialize in low mileage and lower priced used engines. Half of the engines that are purchased are sold as used and the other half are rebuilt perfectly inside of our factory. We use the highest quality tools and the most educated mechanics to take care of our engine rebuilds. We even perform dyno testing. We pull out all the stops when selling 3.1L Chevy engines and we do a great job of getting repeat business. Many of our customers are just like you. You need an engine and we provide the solution. This is all packaged with a price you will not expect. Getting our lowest price is much easier than the hoops you have to jump through with some dealers. It literally takes no time at all. Use the form located on this very website to get your quote instantly. That’s right. No waiting. You can alternatively call 1-877-630-3873 and get the same price by phone. In the future, when you are searching for a great price why not check here first?